I have been playing tennis against some of my top juniors and even though I am the more experienced player they can run me about the court and make me pay for a shot that I don’t place tactically right. Now, in this article I would like to mention one very important stroke that you should perfect so that you do not begin the point on a defensive situation – the second serve. You just missed your first serve (either in the net, deep or wide) then you see your opponent stepping inside the baseline to attack your second serve… Suddenly you find yourself in trouble: your opponent is going to be all over your second serve and from there on… you are in trouble! What can you do so that your second serve is not going to put you on defensive mode? Why slice and not topspin or kick? 1. 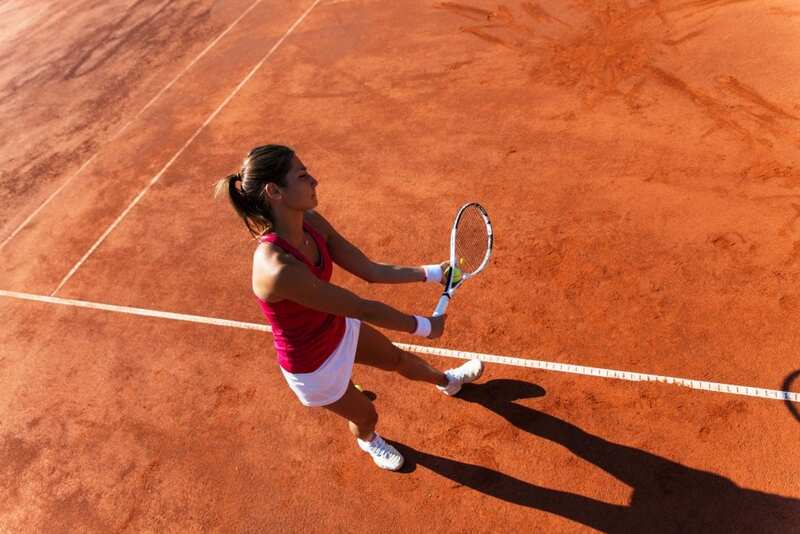 Slice (side-spin on the serve) will keep the ball low. As a result, your opponent will have to play the ball hitting up and the chances for him/her to put it away (or attack it) from a low contact point are very slim. 2. The spin will make it harder to control the ball when your opponent returns it. Especially if you are a doubles player; think about serving and volleying… Would you not prefer to hit a slice so that the returner hits the ball up (that sets you up for a high volley)? On the other side, if you choose to go for topspin serve as a second delivery and move up to the net, the returner will attack the high bouncing serve of yours and put it down to your feet.